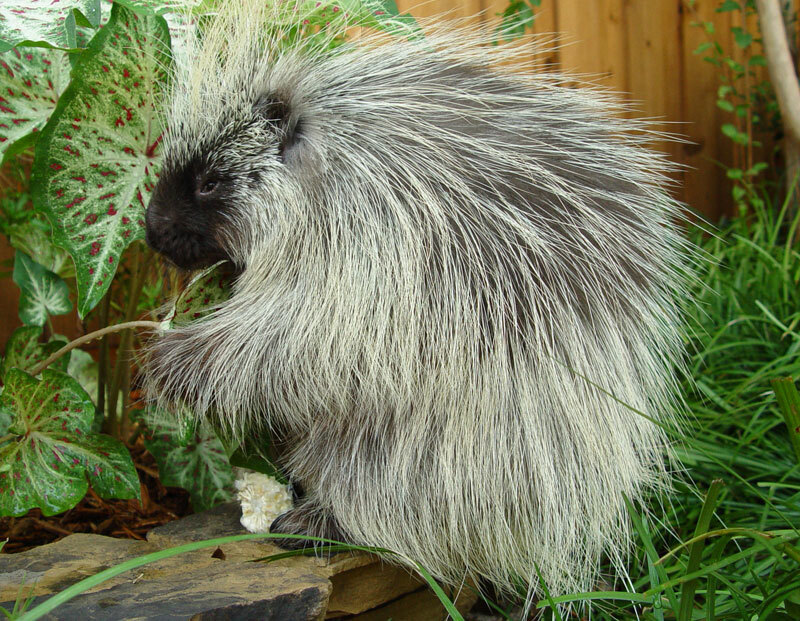 The North American porcupine is the second largest rodent species found in North America. It is an herbivorous animal with pines, or quills, as they are called, all across their body, except the face, underbelly and limbs. 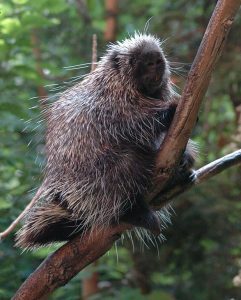 Mainly a nocturnal creature, the common porcupine is near-sighted and sluggish in its movements. During the summer, it frequently rests in trees. When winter comes, it often stays and sleeps near its den, though it does not hibernate. 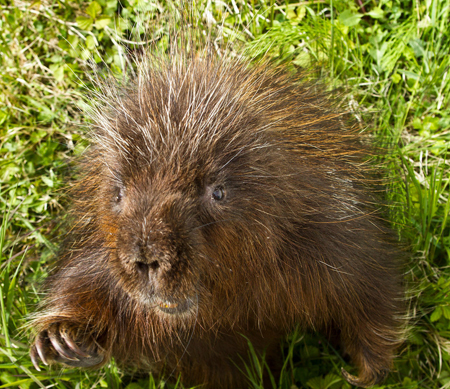 Its defense mechanisms grant it the possibility to lead a solitary life. 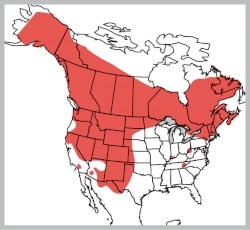 The females lead a solitary life except during the period between late summer and early fall. Male porcupines often fight with each other over females. The winner dances elaborately around the female before spraying her with urine. 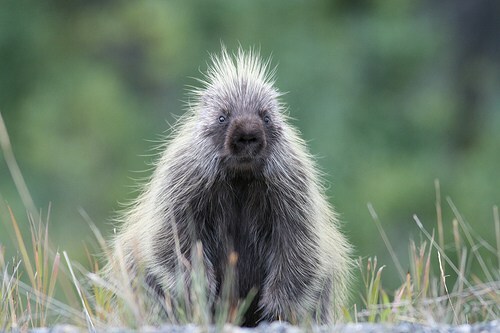 Although they are polygamous, a male will stick around for a couple of days after mating to defend his partner; this is done to make sure that no other males can mate with her during this period. The newborn is given birth about seven months after mating; it is born with soft quills that gradually harden up a few hours after birth. 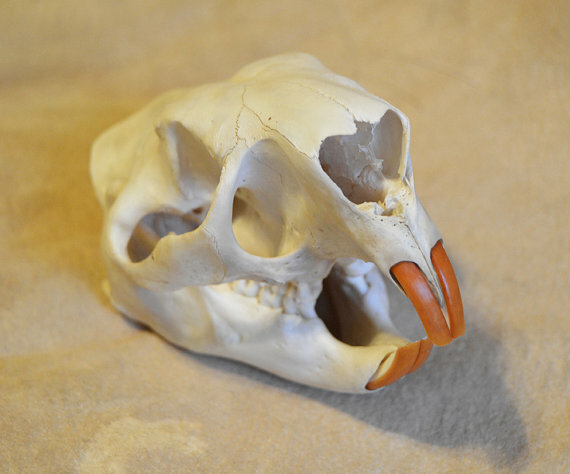 It stays with its mother for about six months before moving onto a solitary life. 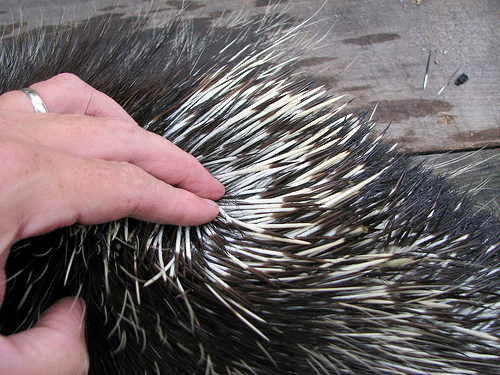 The quills are not the North American porcupine’s only defense; when agitated, they often increase the strength of a stench that warns off predators. 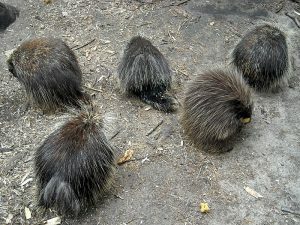 Since the common porcupines have a tendency of falling to the ground from fragile tree branches, they are often protruded by their own quills. To counter this, they have an inbuilt antibiotic supply in their skin to aid them in their recovery. The North American porcupine is one of the few animals that has black and white coloring on its body; it can afford this because, in most cases, it wants its potential predators to know that it is nearby and therefore, to keep safe distance. 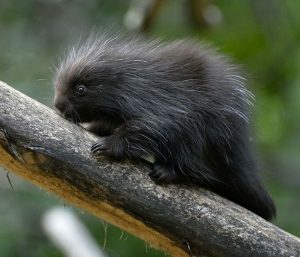 Skunks and wolverines are the only other animals to have this color combination on their bodies. Published on July 14th 2016 by Sudipto Chakrabarti under Coniferous Forest Animals. Article was last reviewed on 14th July 2016.